Ushering in the Year of the Pig, many K-pop stars and celebrities posted video messages on the livestreaming platform V Live, wishing fans good health and fortune. Among them is NCT 127, the 10-member subunit of SM Entertainment's boy band NCT, currently on tour in Japan. 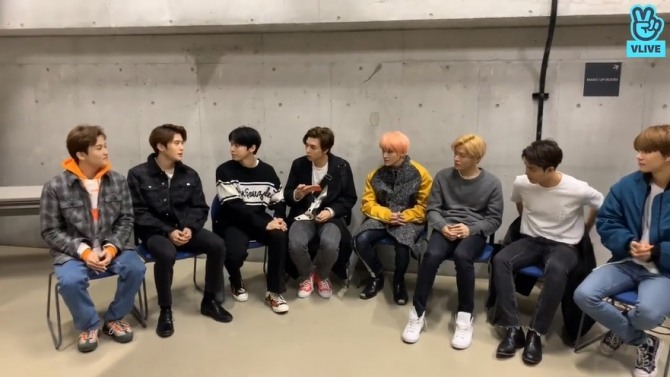 “We just finished our schedule for the day in Osaka and are about to go out to eat,” said Doyoung in a livestream aired late Monday night, the eve of the Lunar New Year. Osaka is the first leg of the act’s seven-city, 14-show tour of Japan. In the seven-minute video, the bandmates thanked fans for the successful concerts held at Osaka’s Orix Theater on Feb. 2-3. 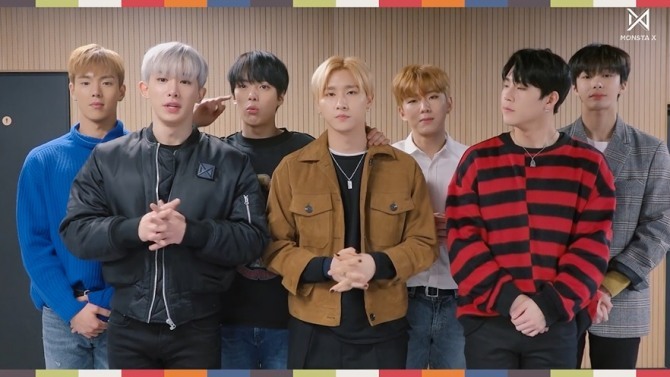 Early Tuesday morning, Monsta X released a video message via V Live. “For those of you who have worked hard, we hope that you get enough time to rest, relax and recharge during this holiday,” said Hyungwon said. “We wish you all the best of luck. Happy New Year!” Shownu said. 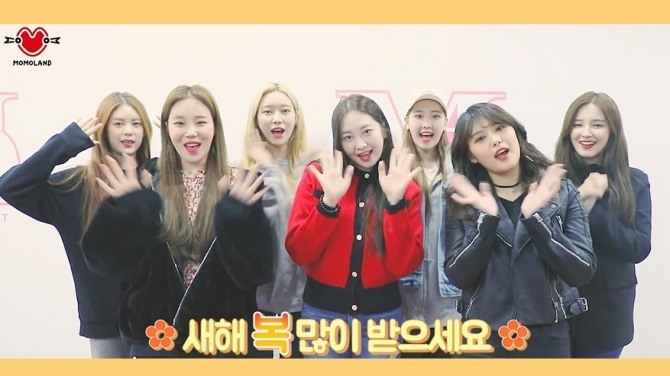 Girl group Momoland said in their own New Year’s message they will be spending the holidays with family. “My mom has prepared lots of savory food for me!” Taeha said. Only seven of the group’s nine members appeared in the video. 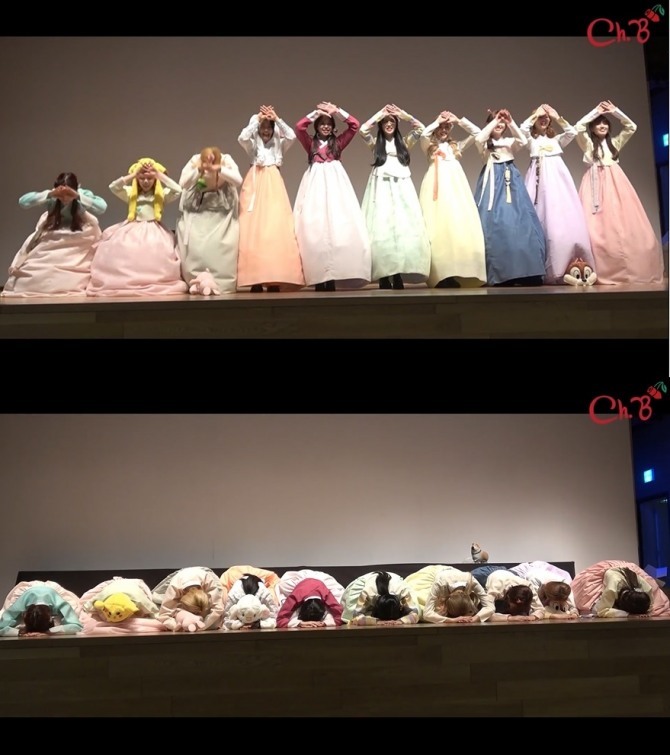 Ten members of rookie girl ground Cherry Bullet got all dolled up in hanbok, the traditional Korean dress, and performed the New Year’s bow called saebae, in a video uploaded on its official V Live channel. “When do we get up?” members were heard whispering to each other. In the first morning of a year, Koreans pay respect to parents and elders in the family by giving them a deep, kneeling bow. 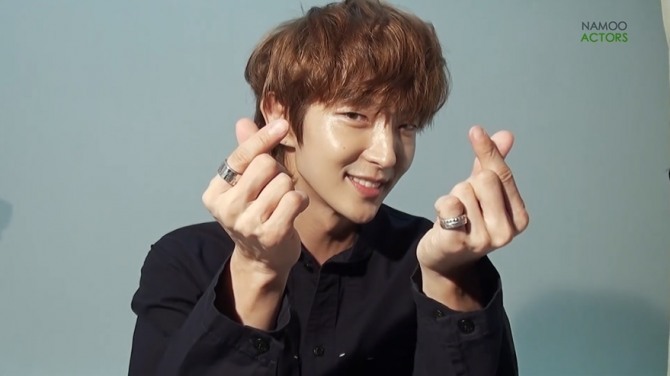 Actor Lee Joon-gi, best known for the 2005 film “King and the Clown,” greeted fans on V on Monday. In the five-minute video released via his official V Live channel, the actor got tested on his knowledge of chat and internet acronyms. “An acronyms quiz? Why all of a sudden?” the actor reacted to a staff who explained to him the video's concept. Lee, however, went through the quizzes with a lot of laughs, getting nearly half of the answers right. At the end of the video, he sent well-wishes to fans. "I wish you all the best of luck and let's cherish our beautiful language!” he said.